Store everything to do with each individual customers. As many contact names as are necessary, including as much information about each person (in as many fields). Full company details and profile information, including details of current and potential products/services, also full histories and account relationships. Filter and sort by any field, find the accounts that you need by building a search criteria that works for you. With multiple methods of filtering data, managing the dataset as a whole just became significantly easier. At a basic level just select from the predefined filter screen, extend that by selecting the fields, and then ultimately use the SQL query builder and even write SQL yourself. View the data in list form with whatever fields/columns you need; easily identify the individual accounts you want to work with. As with search and filtering, FIVE CRM provides a range of tools which can be used depending on the technical ability and complexity of the task in hand. 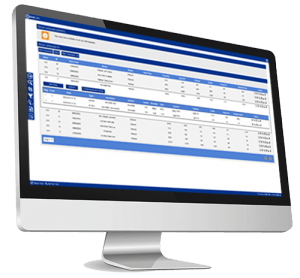 The built-in Report Writer enables non-technical people to create list, summary and cross-tab (pivot table) reports – all on any information in the database. Manage reports in folders and give access to specific reports on a per user basis. Use dashboards to display data and charts in an easy-to-consume way. Automate by emailing reports at preset times and schedules. 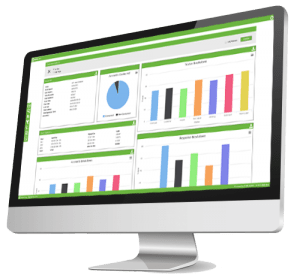 In FIVE CRM you are uniquely able to create reports that run across multiple databases as consolidated reporting – all without technical knowledge.